“Their parent gave all for our legacy. What will we give for theirs?” reads the homepage of the Angels of America’s Fallen (AOAF) website. Founder and CEO of AOAF, Lieutenant Colonel Joe Lewis, has given a great deal and certainly more than most anyone you can name. Colonel Lewis followed his 25 years in the Air Force by creating AOAF, where he and his wife have dedicated the past five years to helping the children of those who fell while serving the military or as first responders. AOAF pays for these children, whose parents made the ultimate sacrifice serving their country, to take extracurricular classes in whatever discipline they choose. That might be Tai Kwan Do or ballet, playing the piano or swim classes. It’s not just about the fun, it’s about developing a child’s self-confidence and giving that child a means of expression. But it’s also about a much-needed commodity in a bereaved child’s life, and that is fun. There are so many reasons that what AOAF does is a wonderful and heartwarming concept. Kars4Kids was happy to get behind the project of helping these kids and their families with a small grant. We thought it was the least we could do. Kars4Kids: How many years has AOAF been in operation? How many children have you helped? Joe Lewis: Five years. 375 children, 45 have graduated out at 19 years old, and we have 330 currently supported until they turn 19. Kars4Kids: One of the videos on your website speaks of a sister and brother from a family that had fallen through the cracks. How do the families of the fallen find you? Does the military direct them to you? Do you find them and offer your services? Joe Lewis: There are three main ways. The first is through word of mouth among the families of our fallen military and first responders. We have been vetted by Army Survivor Outreach Services, which supports families of all branches, and they have our brochures in their offices and direct military families to us. The last is through our website and social media. Whenever we hear of a family that doesn’t know of us, we do reach out to them and invite them to register. 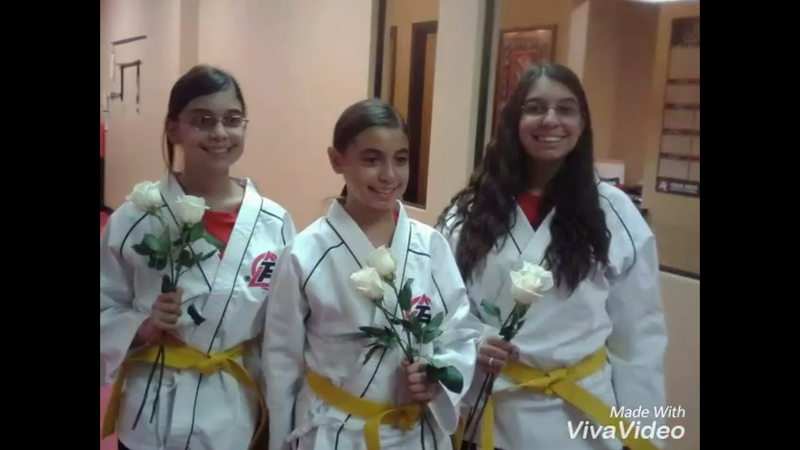 Kars4Kids: In the video on your website narrated by Christina Goetz Bixby, she speaks of receiving a hug from your organization, while Ryan’s mom is taking Tai Kwan Do right along with her son. It seems like AOAF is doing more than sponsoring extracurricular activities for the children of the fallen. It sounds like a whole-family approach. Is that typical of what you do and how you’re helping? Are you helping the spouses, too? Joe Lewis: Yes, it is absolutely representative of what we do. We realized quickly that to have lasting impact we needed to do more than just cover the cost of activities, we also need to encourage the children and remain in touch with them throughout the year. This includes their parent. We are not counselors, but we do a lot of listening, and often that is what they need. For the families that have fallen through the cracks or aren’t sure if their family qualifies, we try very hard to validate their sacrifice no matter the circumstances of their loss. To the child, regardless of the cause, they have lost one of the most important people in their life. It’s the same for the spouse, and the sacrifice both the children and parent makes is ongoing. I write letters to the children when they join and again every year to emphasize we honor the loss of their parent, but we know their sacrifice is ongoing, and we exist because we care about them and want to see them succeed. It’s important they know there are really good people out there who are donating to get them in activities because they care about them. We also call to see how they are doing, and encourage them to get in another activity when their season is over. We have found when we engage the child in a healthy activity, it absolutely helps the parent. We have been told it is a big relief to know their children are doing something positive, that we have taken care of that financial burden all the way through their childhood, and that the time while the child is at their activity allows the parent to have a break and know their child is taken care of. Kars4Kids: How long is your waiting list? Joe Lewis: We have over 300 children currently waiting, but there are thousands more children out there who also need support. Kars4Kids: What is the most rewarding part about being involved with AOAF? Joe Lewis: It is incredibly inspiring to see the children improve over time in their activity. We encourage them to let us know how they are doing, and we get pictures and videos of them over the years. We’ve seen children win medals in Special Olympics, get a college soccer scholarship, win their overall gymnastic competition, win a gold in the Taekwondo U.S. Open, and just have fun in their activities overall. Kars4Kids: Have any of the children you’ve helped returned to volunteer with AOAF after aging out of the program? Joe Lewis: Absolutely. We have had graduates and many of the kids currently enrolled who have helped us tremendously. This is the second most rewarding part of being involved with AOAF. We have what we call our Voices Program where kids and their parents who want to share their story speak to help us help more children. We have graduates and many children we are currently supporting who have done fundraisers for us. We have one widow whose son is wheelchair bound with cerebral palsy, and they have put on a virtual walk/run fundraiser for us three years in a row, which humbles me. One of our widows and her daughter host our Angel Gala each year, and many of our other families help to make the event a spectacular celebration of our families, with kids performing in their supported activity. We also have a widow and her two kids who have hosted a fundraiser named after Marine Lt. Col. Mario Carazo through their Sugar Bear Foundation. Sugar Bear was Mario’s call sign. Kars4Kids: What’s the most outlandish activity you’ve financed for a child? Joe Lewis: I don’t know if they are outlandish, but we have supported scuba lessons, surfing, introductory flying lessons, and baking classes. If it is healthy, has an instructor, and is what the child is really interested in, we want to find a way to say “Yes”! Kars4Kids: What is it you wished people knew about the experience of growing up as a child of America’s fallen? Joe Lewis: The dust doesn’t settle and they go on with a new normal. They revisit the loss many times throughout their childhood as they mature and can process their loss in greater detail. It takes long term support to be with them through the ups and downs during their most crucial formative years. Kars4Kids: How old is your youngest participant? In what activity is he or she enrolled? Joe Lewis: Our youngest ever was 11 months old and we enrolled him in Mommy and Me music lessons. He is four now and does soccer and t-ball. Our youngest currently is three and is doing dance lessons. Kars4Kids: What’s next for Angels of America’s Fallen? Joe Lewis: Growth! We are working very hard to raise awareness and support so we can clear our waiting list and enroll more very deserving children. Support from Kars4Kids via your grant and you sharing our story is a big help towards our goal!